Construction brings many opportunities to many different people. Communities experiencing an intense building spree can usually look forward to more foot traffic or an influx of new businesses. Unfortunately, progress can bring illicit opportunity as well, and many contractors find themselves having to ward off thieves. With thousands of dollars of iron and copper lying around, protecting your assets can be difficult and complicated. To address this, Robert Siciliano spoke at CONEXPO-CON/AGG 2017 on the best techniques and practices for safeguarding machines and maintaining a security perimeter, all while fostering trust in a community. Contact the local police department well before actual construction begins. Siciliano says this allows time to build a rapport, give officers an opportunity to create alternate routes that include the site, relay the total value of the equipment, or even just to get a feeling for the area’s crime climate. An excess of information beforehand can mean the difference between the perfect job and a stolen forklift. Appropriate signage can save thousands of dollars when creating a perimeter, particularly with measures that could potentially harm intruders. A variety of options exist to de-motivate thieves, like barbed-wire fences, that could create messy legal situations if they don’t come with warning labels. Siciliano gives the example of a teenager who was injured by guard dogs after breaking into a construction site: the teen’s parents managed to successfully sue the company for failing to hang signs informing potential thieves about the dogs. Keeping private information off the worksite ensures that any computer theft can’t become a company-wide emergency. As Siciliano says, “The devices themselves are just shells to access all of the information on a corporate network that’s cloud-based or via a private network that’s encrypted.” This ensures peace of mind to employees across the company. A big part of site security is viewing the tools as they might be used against the company. For example, the theft of a saw is inconvenient but not necessarily a setback; but if the thief then uses that saw to cut through a lock on an excavator door and drives it away, the loss becomes much greater. Positioning equipment that can open or destroy locks away from the locks themselves can be a small but beneficial step in preventing further loss in the event of a robbery. Though it might not be an exciting position, Siciliano heavily recommends assigning someone to survey the worksite, track and control key assignment, maintain contact with law enforcement, track inventory and delegate gate control. Though these tasks are small, Construction brings many opportunities to many different people. Communities experiencing an intense building spree can usually look forward to more foot traffic or an influx of new businesses. Unfortunately, progress can bring illicit opportunity as well, and many contractors find themselves having to ward off thieves. 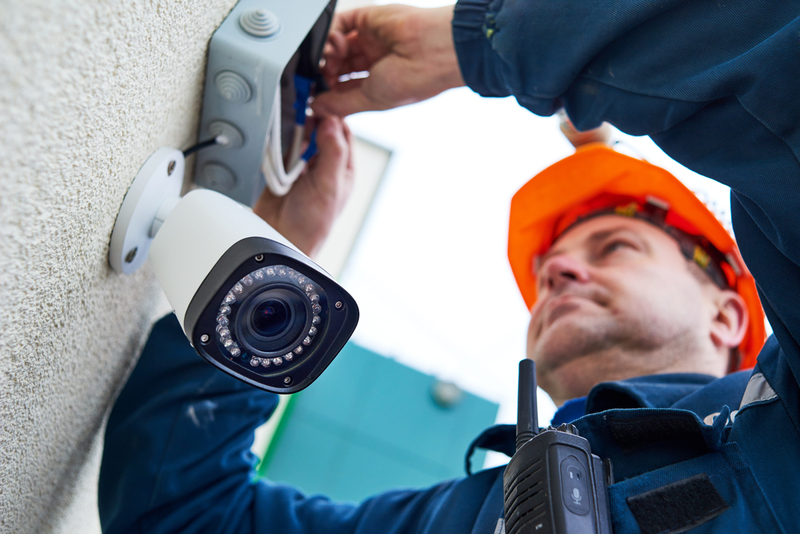 With thousands of dollars of iron and copper lying around, protecting your assets can be skipping or neglecting them can be the security crack that potential thieves need to breach a worksite. With these tips, site managers and their teams and can not only protect their equipment but also protect themselves and the company from an unnecessary headache and loss. For those unable to attend the education sessions or who would like a copy of what was presented, recordings are available for purchase on a USB drive. There are over 130-plus unique sessions from all 10 education tracks: Aggregates, Asphalt, Concrete, Earthmoving & Site Development, Cranes, Rigging & Aerial Lift, Safety & Regulation, Technology, Equipment Management & Maintenance, Management: Business Best Practices and Management: Workforce Development.